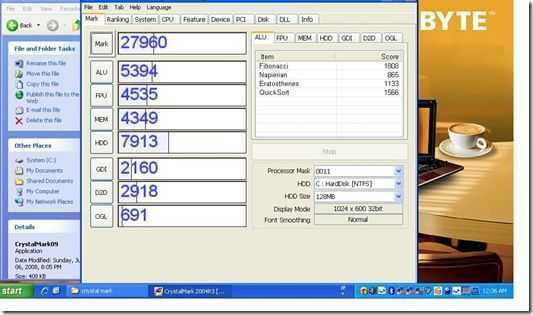 22864 is about 4x what we normally see on a netbook or ultra mobile PC with an HDD. 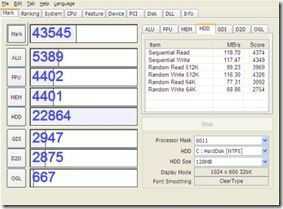 127MB/s read speed is twice as fast as the original 160GB SATA disk. 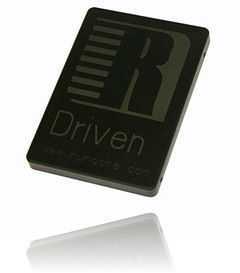 Theoretical figures don’t translate one-to-one to changes in user experience though and as the SATA drive in the Touchnote was already fast at 60MB/s read, real-world differences won’t be as extreme. Booting up was quicker (at about 30 seconds, 40 seconds including POST for this heavily loaded, 1 month-old installation is 20-seconds quicker than normal) and applications are starting almost instantaneously. IE7, Movie Maker, Adobe Reader, Windows Live Gallery, Chrome, Paint Shop Pro all start (first run after boot) in 1 second or less. Hibernation wasn’t noticeably quicker and standby is, understandably, the same. As far as battery life and heat are concerned, I’ll have to do some more testing. There were a few issues with duplicating the disk but none of these can be attributed to Runcore. I have a pre-release prototype drive without the USB port so I had to use True Image to copy the original 160GB and squash the partitions into 64GB. The second problem is that the Gigabyte install uses a Grub (or Lilo, I’m not sure which) boot loader which allows access to the restore partition. On copying the disk, the boot loader didn’t work so as a fix, I tried an XP and Linux CD image in order to re-write the MBR. Unfortunately FixMBR on XP didnt work and my CDROM isn’t playing well as a boot drive with the BIOS on the Touchnote so after messing around for a few hours I had to download Ubuntu Netbook for USB installation and install Ubuntu just to fix the boot loader. It fixed the boot loader but the recovery partition is now inaccessible. I’ll have a play around with Ubuntu 9.04 for a while and then clean it up next week. I’m sure other netbooks are going to much simpler than this one! The question now is, is it worth it? I’ve lost about 80GB of drive space that I was using to carry around some media and as the SATA drive was already fast, the end-user difference isn’t that great. The 64GB drive costs around 50% of the cost of this, already high-end netbook, and with such a low-powered platform, there are obviously other bottlenecks that will come into play so at the end of the day, its a tough call. I’ll run with it for a week and report back then but with the Gigabyte Touchnote performing so well with it’s 3G, Draft-N, multi-touch pad, BT2.1, ExpressCard/34 slot and touchscreen, it’s tempting to keep it installed just to highlight how far the netbook platform can be pushed. In the meantime, I can definitely say that if you if you have a year-old laptop that needs a refresh (this drive is going to work well with HDD-happy Vista) or if you simply want one of the fastest drives available, the RunCore Pro IV is fantastic value. Stay tuned for a video over the next few days. Check out the Runcore press Release and if you want to be early in line, pre-order form here. The Pro IV will be shipping in just a few weeks. 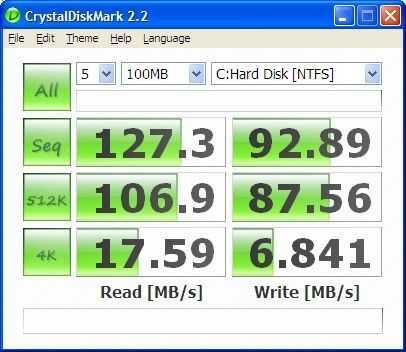 Gigabyte Touchnote CrystalMark score shows fast disk. Don’t get too excited yet as the T1028M needs a good testing session (planned for Wed or Thursday. Keep watching.) before we mark it up on the shortlist but these early CrystalMark results, just in from Mobilx, indicate a very fast hard drive. It’s a 160G SATA drive. 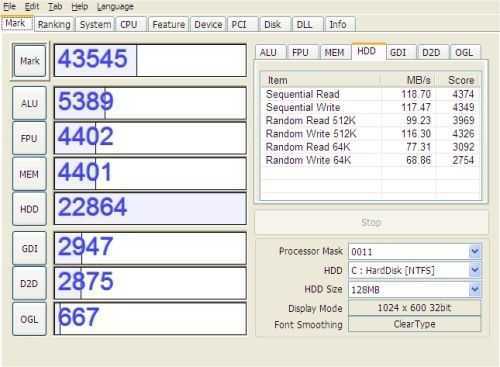 We saw an impressive 26500 on the Gigabyte M912M so to reach nearly 28000 with the same CPU/GPU platform means the disk is even faster under this test condition. Full specifications in the product page.